Our Portland headquarters was designed from the ground up to provide a collaborative environment that places equal value on productivity and employee well-being. 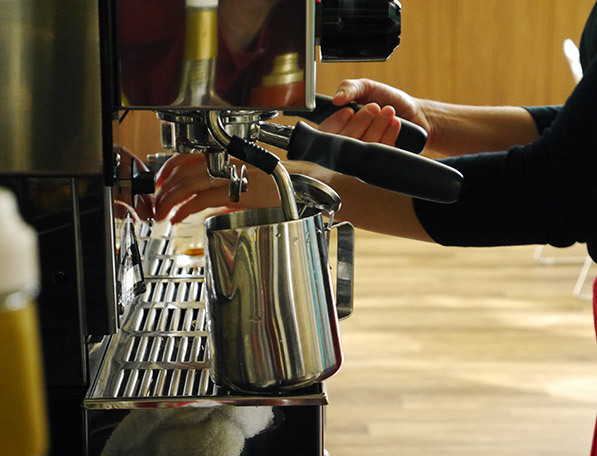 Start your day with a stop at our coffee bar where our friendly in-house barista crafts your favorite caffeinated beverage, served up in your own personalized mug. But before you can get your caffeine fix, you have to get here first, and we help with your transportation costs, regardless of whether you commute by car, bus, train, or bike. 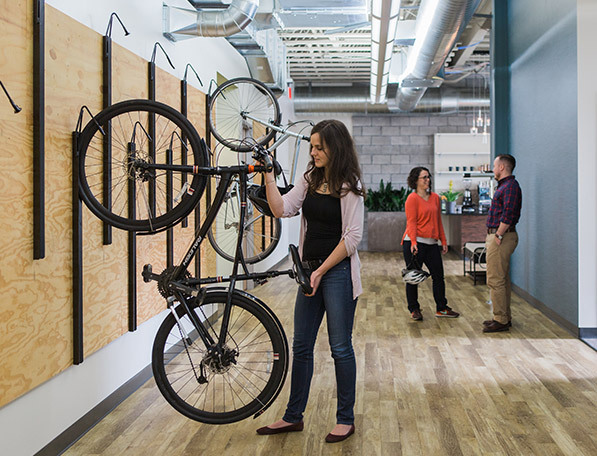 For cyclists, we provide a spacious in-office bike rack, complete with our own repair station. 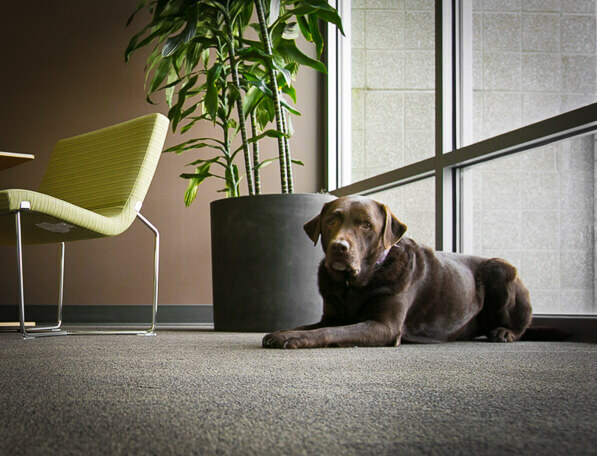 Once you are here, you will find a light-filled, drama-free, pet-friendly workspace. Our office dog Parker roams the halls in search of treats. As part of our commitment to employee well being, everyone gets a mechanized sit-to-stand desk. If you feel the need to get away from your desk, grab a communal laptop and find a corner couch with a view, a tucked-away breakout room, or any number of small to large conference rooms for ad-hoc discussions. 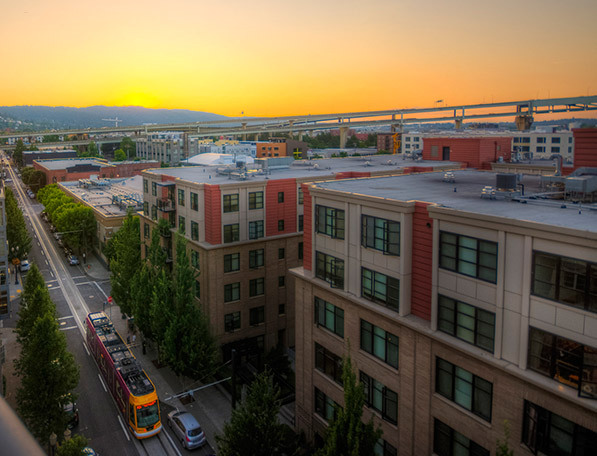 Situated in the up-and-coming northern tip of the Pearl District, we have plenty of food places in easy walking distance of the office, as well as three different parks within five blocks (unfortunately the WiFi doesn’t reach that far). Our neighbors include a large gym and a climbing wall center with fitness classes. Interested in Joining the LegitScript Team?